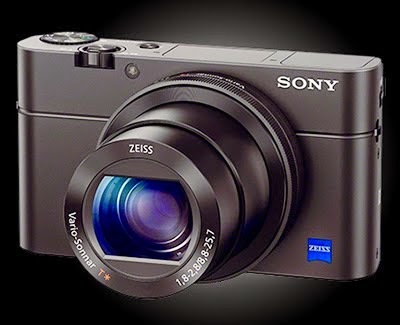 Digital Photography Review has published a full review of the latest incarnation of Sony's premium compact camera. The RX100 III provides better image quality than any camera its size ever has. Add to this an impressive and comprehensive feature set and it looks like the very definition of a stand-out camera. In terms of shooting experience, the RX100 III continues to feel more like a camera that will somewhat grudgingly let you take control, rather than an enthusiast camera designed for the committed photographer from the ground up. However, the breadth of its capabilities, from its bright, flexible lens and handy viewfinder, through to its class-defining image quality and well-supported, high-quality video capture mean there's nothing to really match it. And if you mainly shoot in P or Auto mode, you may never experience our frustrations about the handing. The RX100 series has always been technically impressive, but the addition of the brighter lens, viewfinder and ND filter extend its utility to a huge degree. Owners of its predecessors should seriously consider upgrading unless they need more zoom reach. Skola Sans Pro is a family of 29 fonts designed by Lasko Dzurovski a graphic designer from Macedonia. 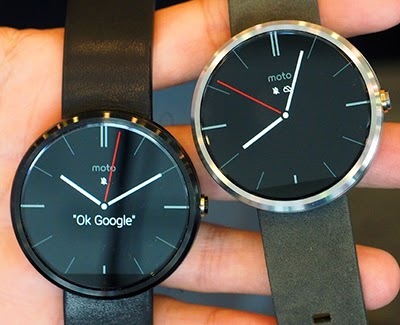 The Moto 360 strikes a stunning pose on your wrist, particularly in its stainless steel (as opposed to black) garb. Fit and finish of the devices we saw was top notch. The chamfered edges of both the glass covering the screen and that metal housing lend it a luxurious look and feel, and the thick, split leather strap is premium, too. We thought it odd that the company . We asked Lior Ron, Motorola's wearable products lead, why the Moto 360 has the glass extend beyond the watch's metal housing, when the trend in mobile screens is for there to be zero gap between the surface of the glass and the pixels beneath them. He informed us that it's a 'nod to the premium watch aesthetic' as many premium watches have chamfered glass. It has the added benefit of showing off the circular display to the fullest - looking closely reveals that pixels are packed from edge to edge. A 500m loop will be built on the campus of Israel Aerospace Industries (IAI) followed by a commercial network, according to skyTran, the company that will build it. 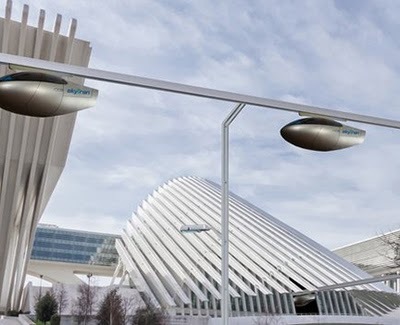 Two-person vehicles will be suspended from elevated magnetic tracks, as an alternative transport method to congested roads, the firm promised. The system should be up and running by the end of 2015. The firm hopes the test track will prove that the technology works and lead to a commercial version of the network. The vehicles will achieve speeds of up to 70km/h (43mph) although the commercial rollout is expected to offer much faster vehicles. Joe Dignan, an independent smart city expert, said the system represented "a hybrid between existing infrastructure and autonomous vehicles". "It will get the market in the mood for autonomous vehicles - it is not too scary, is cheaper than building out a train line and uses part of the urban landscape, 20 feet above ground, that isn't currently used." 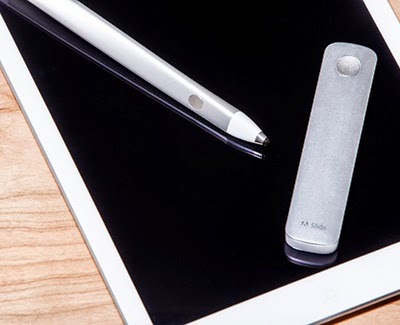 Air Stylus lets you use your iPad as a pressure sensitive, wireless drawing surface for your favourite graphics software on your computer. Draw or paint on your iPad’s screen directly into Adobe Photoshop, Pixelmator, or almost any computer-based creative software that supports pressure sensitive pens. Air Stylus creates a natural drawing and painting environment, letting you combine the power of computer-based creative software, the finesse of a pressure sensitive stylus, and the elegant usability of your iPad. 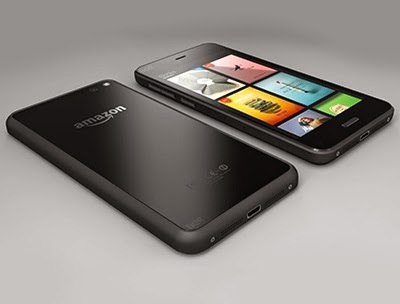 After months of speculation, Amazon has unveiled its first smartphone: the Fire Phone. Its US release date is 25 July. The device has a 4.7in screen, a 13-megapixel rear camera, and an innovative system of cameras and sensors on the front of the phone to track head gestures from users, and change the display accordingly. The Fire Phone also has a feature called Firefly that identifies songs, films, TV shows, books and products, then directs people to buy them from Amazon. It will also identify signs, artworks and wine labels, and provide more information on them. People paying $199 for the Fire Phone on a two-year contract from US mobile operator AT&T will also get a year's free subscription to the Amazon Prime subscription service. At launch the 2.5", 7mm MX100 family comprises three capacities: 128GB, 256GB and 512GB. 128GB costs £56, 256GB, £80, and 512GB, £159. Crucial has provided power loss and thermal protection, AES-256bit, TCG Opal 2.0 and IEEE-11667 hardware encryption technologies and RAIN (Redundant Array of Independent NAND) to protect against block failures. 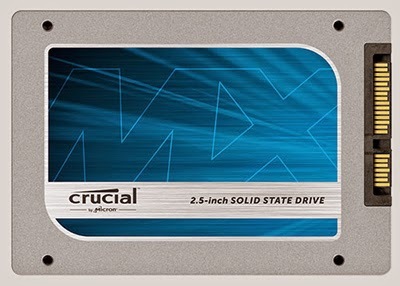 If all you want is fast storage for everyday use without the price premium for the fastest on the block, then the MX100 range should meet your needs and save you a few quid into the bargain. Ink and Slide are a stylus and straight rule. They work with a pair of iPad apps specifically created to take advantage of the new tools’ capabilities. Overall, the stylus and straightedge are at least as capable as similar iOS accessories, and among the best looking. The apps, however, aren’t terribly intuitive. Ink looks like a 21st century space pen. Its body is a single aluminum tube hydroformed into a twisted triangular prism. At its back end, white plastic rings its metallic charging receptors, which in turn encircle translucent plastic that diffuses colourful, customizable LED light when the pen is turned on. The tip resembles an analogue pen or pencil, with a 2mm black capacitive touch tip ringed by metallic silver and shiny white plastic. The tip is hard plastic, rather than the rubbery stuff a lot of stylii use. The stylus is not much heavier than a traditional ballpoint. Ink fits in a triangular combined carrying case and charger. Plug the back end of the stylus into the lid of the case, slide the pen inside the body of the case, then connect this charging container to a micro USB. The case, made of white plastic, has a matching LED-illuminated ring on the lid that glows while it’s plugged in. Slide shares a similar aesthetic: brushed aluminium, a single circular button carved onto one end, and white plastic below. Inside Slide houses three magnets. One at either end allows the iPad to detect when the straightedge is placed on its surface, while a third can be activated with a button press to change settings. Ink and Slide cost $200 and are available now, while the apps, Line and Sketch, are free from the App Store with a Creative Cloud log-in. 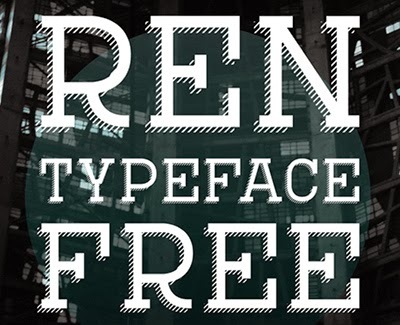 REN Typeface is Andreas Leonidou's latest retro typeface. 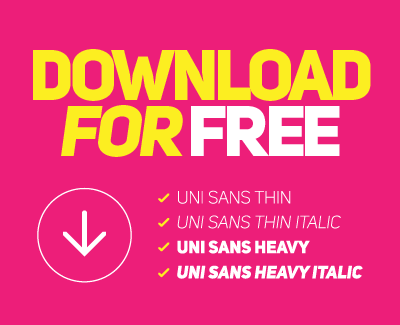 Available in 4 styles, it is best suited for posters, logos and motion graphics. 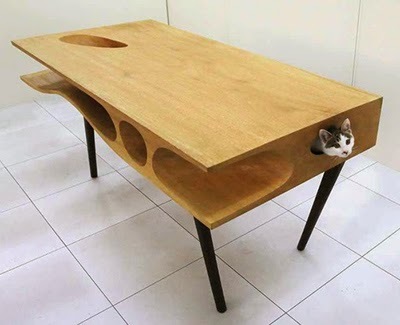 Designed by Ruan Hao of Hong Kong’s LYCS Architecture, he desk features a smooth workspace on top with a warren of cubby holes just big enough for a cat to crawl through. A pill which boosts the body’s natural defences could help fight off all cancers and stop them ever returning, scientists believe. ‘Delta-inhibitors’ were already known to help leukaemia patients, but researchers were amazed to find they also work on a whole range of other cancers. 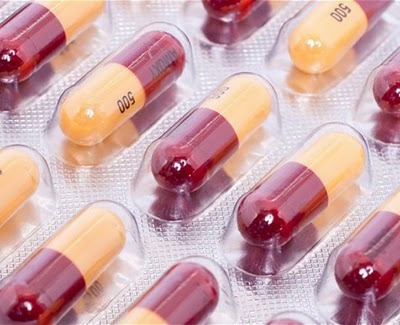 The drugs, which are taken orally as a pill, were so successful in leukaemia trials that the control group, who were taking placebos, were immediately switched to the medication on ethical grounds. Cancer suppresses the immune system by producing an enzyme called ‘p100delta’ which tells it to power down, making it difficult for the body to fight the disease. The drugs ‘inhibit’ that enzyme, allowing the immune system to attack tumour cells. The added benefit is that once the body has learned to fight off the cancer, it has in-built immunity, so that the disease can never return, unlike if it had been killed by chemotherapy. Although the study was conducted in mice, researchers are confident it would work in humans and are hopeful that human trials will begin soon. 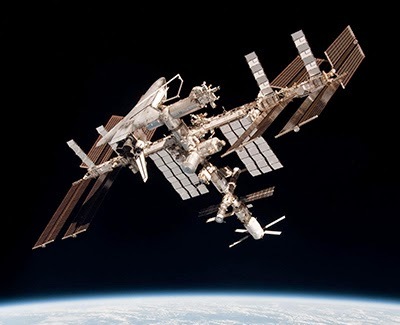 The Optical Payload for Lasercomm Science project, or OPALS, mounted a 2.5 watt, 1,550-nanometer laser transmitter to the International Space Station. The device was tasked with transmitting data at 50 megabits per second to a NASA receiving station near Los Angeles. With the ISS hurtling around our planet at over 17,000 MPH, a steady aim is hugely important: NASA likens the task to 'aiming a laser pointer at the end of a human hair 30 feet away and keeping it there while walking'. But the transmission was a success: the laser rig beamed down a video file in 3.5 seconds, a feat that would have taken more than 10 minutes using traditional radio frequencies currently used for data transmission to outer space. NASA says the boost in data transmission capabilities is like going from dial-up to DSL. This is hugely important for NASA, whose space missions are generating ever-growing amounts of data. And fast, reliable data downloads are crucial in NASA's plans to send a mission to Mars. All caps sans. 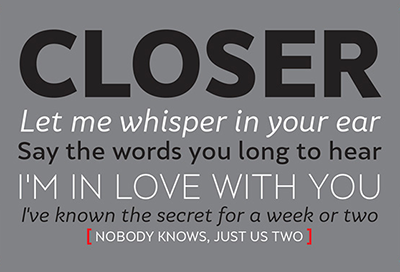 Two weights with italic versions. Designed by Svet Simov, Ani Petrova (cyrillic alphabet), Vasil Stanev (font development). NEED to learn a new language but would rather watch TV shows instead? A new software app aims to let you do both at once. Once downloaded, Fleex extracts the subtitle data in video footage stored on your computer or online – whether it's a movie in the language you want to learn or YouTube footage – and presents subtitles in both your native language and your target language. For now, Fleex teaches only English. 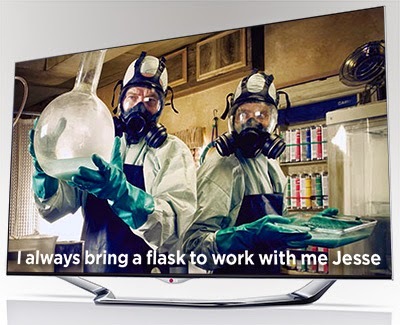 It does not display all the English subtitles throughout a programme, as that might swamp beginners with too much information. Instead, the subtitles for their own language are shown and, initially, only a low proportion of them are also shown in English. The amount in English offered rises, under the student's control, as their comprehension grows. Meanwhile, subtitles in their native language gradually drop away. At any time, selecting a confusing word in an English subtitle will bring up a menu defining the word and outlining its common usage. Idioms and common expressions are explained, too. Fleex costs €4.90 per month on a subscription basis. Flown by German test pilot Markus Scherdel, the Solar Impulse 2 departed from Payerne Airport in Switzerland on 2 June at 5:30am and landed at 7:50am local time. Solar Impulse 2 has a wingspan of 236 feet - larger than a Boeing 747-8i. However, the SI2 only weights about 1 percent of the 747. 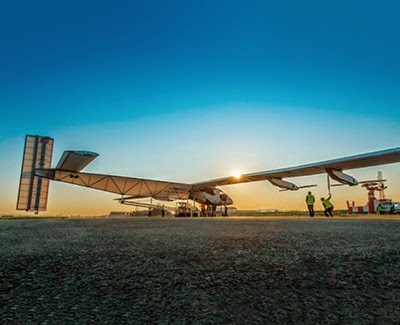 With a structure made of composite materials and wings covered in sheets of wound carbon fiber, it's truly the most energy efficient plane ever made, outside of an engineless glider. The wings, fuselage and horizontal stabiliser are covered in 17,248 solar cells, at 135 microns thick, which provide energy to the plane's four engines. Lithium polymer batteries power the four 17.4hp engines, weighing a total of 1,395 pounds, make up a quarter of the plane's total weight. The two-bladed propellers spin at 525rpm. The system is 94 percent efficient. 26 knots is all the speed it takes to get the Solar Impulse 2 airborne, using roughly 500 feet of runway. It can cruise up to 27,000 feet at speeds ranging from 31.5 to 77 knots. At sea level, it only has to fly at 20 knots to remain airborne.